Picking up on the thing which started pakBritain off (kieron's original British Rail Pak - http://archive.forum.simutrans.com/topic/01983.0/index.html) I'm planning on filling in the missing freight and mail wagons for the next pakBritain release. I've got a fairly good idea of what I'm going to do, but if anyone has anything they really want included that fits the bill, then post any pictures/info/suggestions here. Also, at some point in the future, I'm sure there will be a chance to add more trains in general - although given the selection at present I don't think that it will be a priority. If you want something included - post it here and I'll add it to the list! We seem to have a complete time-line of the following types of freight: (1) bulk goods; and (2) oil. There is a partially complete time-line for cars. We need, therefore, a timeline for the following types of freight (aside from mail): (1) "cooled goods" (really food, since earlier transport would not be refrigerated); (2) livestock; (3) piece goods; and (4) long goods (steel, logs, etc.). 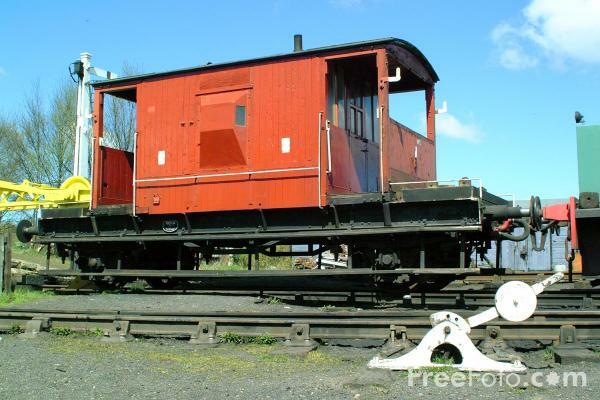 We could also do with a brake van (only one needs to be drawn), which should be mandatory at the end of all trains of unfitted wagons. The car timeline before the 1970s also needs to be completed. Livestock has not been transported by rail for decades, so there are no modern examples. Food traffic would also use container wagons (albeit cooled) ones in modern times, so, again, the same shapes could be adapted with minor adaptations to serve food as used with goods. As with other types of goods, in modern times, this, too, would travel by container, leaving only oil and bulk goods non-containerised by the end of the 1990s. We could probably also do with a 4SUB. There is a good range of these, but one thing that might be worthwhile adding is a class 117, as the only high density unit is currently the single car 121. The 117 could easily be made by re-using the blends from the 121. The most notable omission is the GWR Castle class, which, when introduced in 1923, was the most sophisticated express passenger locomotive of its day. There is also a Merchant Navy, but no West Country class. Both types could easily be created by modifying blends of related types (the King and Merchant Navy respectively). Finally, it would be very helpful to have the BR Standard 8P - although only one was actually built, players ought be able to take different decisions on when to bring the steam era to an end. This one, again, could easily be made by small alterations to the blend for the Britannia. Again, the timeline here is largely complete, although it is a little odd that there is a class 30, but no class 31. A class 50 would be nice, but is not essential. Suburban carriages are the most notable omission: although there are some suburban carriages in the early years, (the LSWR stock, for instance), there is nothing from the mid 1920s onwards (unless the GWR droplight carriages are meant to count as suburban). In any event, the suburban BR Mk. Is are needed. Less important, perhaps, but would be nice, are the earlier type (non-air-conditioned) mark IIs. Finally, for the use of Simutrans-Experimental, it would be good to have buffet cars for all eras. (A few sleeper carriages might also be useful for Simutrans-Experimental - they could be set up as vehicles with very high comfort, but very low capacity and very high running costs, and used on very long journeys). I hope that this is all helpful. I shall very much look forward to seeing the freight wagons! Hmm - I can do the constraints if you can draw the brake van :-) Really, I think that the constraints are very helpful, and it would be a great pity to lose them, as so much work has evidently gone into them. If you really do want to remove them, can you at least comment them out in the .dat files rather than deleting them, so that others who want them can re-enable them without having to re-create the work? Edit: One thought as to mail vehicles: a Mark I BG might be useful. The LMS were pioneers in alternatives to steam, and built this experimental unit, which was decades ahead of its time, in 1938. It was, in effect, the Virgin Voyager of its day, travelling on secondary and cross-country routes, rather than the branch lines to which the GWR railcars were largely confined. It was only the outbreak of World War II that stopped the production of these delightful looking units. However, in Simutrans, we have no wars - this unit is the perfect opportunity for additional player choice, enabling more widespread dieselisation in an earlier era. constraints: I think it's best to keep it simple for the official releases (like making sure you can only use carriages from that form a certain multiple unit etc), and if you go down the constraints route, you have to make some fairly arbitrary decisions about what can go with what, which isn't realistic either. I had a thought for a ST-experimental idea though - the main thing is that all older trains with non-automatic braking ought to have some kind of brake carriage or van, but more modern vehicles (mk. 2 onwards I think) can get away without. Maybe there could be a system where all vehicles have in their dat file a needs_brake parameter - if there are vehicles in a convoy with a needs_brake = 1, then you need a brake carriage, otherwise you don't. Brake carriages/vans would be identified by an is_brake parameter - if it is a brake vehicle then 1, otherwise 0. This would mean that any convoy with needs_brake > 0 would not be able to run without is_brake > 0. What do you think? speaking as someone with a moderate collection of kits for freight vehicles, with a definite LNER bias I can say I await this with interest. managed a few blender type building a while back but never got a vehicle to work properly. considering having a go though. the brake van idea is a good one, the way to handle it properly however requires some semi detailed physics to be considered (i.e. a change to the engine) e.g. defining a default 'brake force' equal to a vehicles weight, this providing the default braking. a lower total brake force providing a slower deceleration, hence slowing down earlier. hard to do properly. I would suggest the easy way to add brake vehicles, is to give them a low cost, and a low maintenance cost, essentially they just take up space, but cost little, i.e. "eye candy" but not much more. 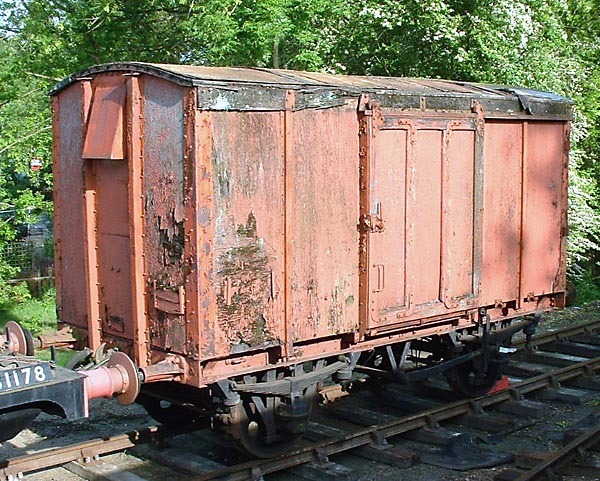 thinking of having a go with blender again, I currently have a partly assembled kit of a brake van like that on the bench, but thinking an actual van may be more useful. ideally will need several versions of each though, but with minimal graphical changes, maybe slightly different roof colours or a stripe of colour (not prototypical, but on the prototype you could read the writing on the side :-) ) to identify the basic goods type. thus allowing a grey (unfitted version, cheaper but lower top speed) and a fitted (more expensive but faster) version of the basic types. busy this weekend, but away from home next weekend, so will have some time to play. but in blender thinking two chassis lengths a basic box and a roof is about all it needs, cattle wagon just has a slightly different body type. otherwise the model is basically the same. wouldn't say no to a blender file with a camera angle and a default place sorted to make grabbing stuff out easier. as for style, well I can try, getting better at design graphics but 'art' isn't a strong point, better with POV than blender. OK here's some progress on 19th Century mail carriages... (all re-hashes of existing stock). Excellent! Have you been working at those all day? That's a very impressive output - 14 vehicles! One small thing - the three nearest but one to the right seem to be a little too squashed together - perhaps you could increase the length by one in the .dat file? The blue train has the existing passenger coaches + a dining car, the green train has mail carriages and a TPO. Excellent pictures! I really like these ones. Excellent! I am delighted that we will have dining cars - that will make a real difference in Simutrans-Experimental. And, looking wonderful as ever! Edit: To answer your question, incidentally, the dining/TPO cars are the second to last on both trains. Thanks for the feedback, and well spotted James. Not all of the dining cars will be very distinguishable from the rest - from most pictures of 1920s/30s stock, dining cars appear to be very similar from the exterior to the standard stock. That does make my life easier though as I can re-use graphics! As far as I could find on google, the southern railway didn't have tpos, so I have only drawn a parcels van for them. One small thing, though: the blue on the Mk I BG seems to be lighter than on the other Mk I carriages. Otherwise - excellent, as usual! (The blue and grey Mk I buffet should probably be the RBR, but that's probably just a matter for the translation files). And some additions to mk2,3, and 4 stock (buffet car for each + a driving van trailer for the mk2 which was previously missing). My goodness - you're on a roll to-day! Oh Boy!! As an expat Brit I love these. Where/when can I get them, are you going to release a PAK set? PakBritain should be released as a complete pakset fairly soon - once all the goods vehicles (mail and road) are done. The initial release will need testing and balancing, and will be lacking water and air craft, but it should be good all the same. The sources are available currently if you would like to compile it yourself (these latest vehicles have not been uploaded yet, however). Turns out the Southern Railway did do TPOs, so I have drawn one of them as well as the BR Mk1 TPO (in post office Red). 5 goods types: livestock, piece, cooled, bulk, and long. Can you work out which is which? Looking impressive! But no guard's van...? As far as I can tell, trains of that period didn't have a brake van. I'm not sure when they were introduced. In any case, I don't think they really add anything to the game, and it would be a nightmare to do the constraints, so I'm not really that bothered about drawing them. I've had another think about brake wagons - I'll probably do them as eyecandy only. Does anyone know when they were introduced and what they looked like in early years? Here's some more wagons from 1900-1950s. Also shown are brake vans (6 different ones visible), which are just eyecandy. I'm not going to say what they all are, but hopefully people like the look of them! Very nice! And six different brake vans? Goodness - you have been busy! Excellent work. The brake vans do look very good when connected to all those wagons. I shall very much look forward to seeing those in the game. Here's the final installment (for now) of wagons, taking us up to the present day. I'll do a release once I've done some crude balancing for acceleration and profit. Those are very nice - I shall look forward to the release! Edit: If you need any help with balancing, let me know, and I'll see what I can do.